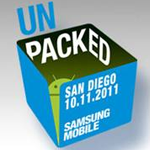 Samsung sent out invites today for Samsung Mobile Unpacked 2011, promising to reveal "what's new with Android" at the event in San Diego on October 11th. 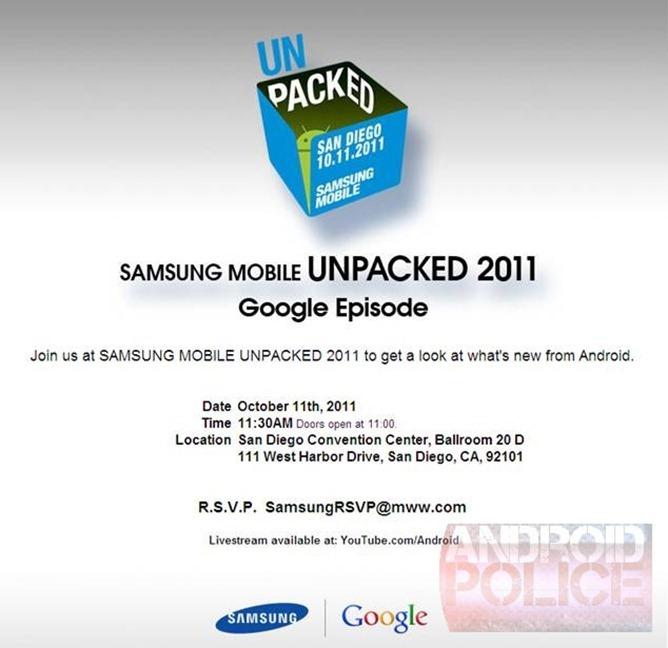 Considering Eric Schmidt's indication of an October/November release for Android Ice Cream Sandwich, and the fact that the Nexus Prime (Google's flagship ICS phone) is said to be a Samsung device, it's looking like this announcement will almost certainly be related to Android's latest iteration, and perhaps, if we're lucky, the latest Nexus device as well. For those who don't happen to be hanging out in San Diego for the next couple of weeks, a live stream will also be available to view at YouTube.com/Android. The event begins October 11th at 11:30am PST. Our own David Ruddock will be live on the floor, bringing you all all the exciting news as it happens.